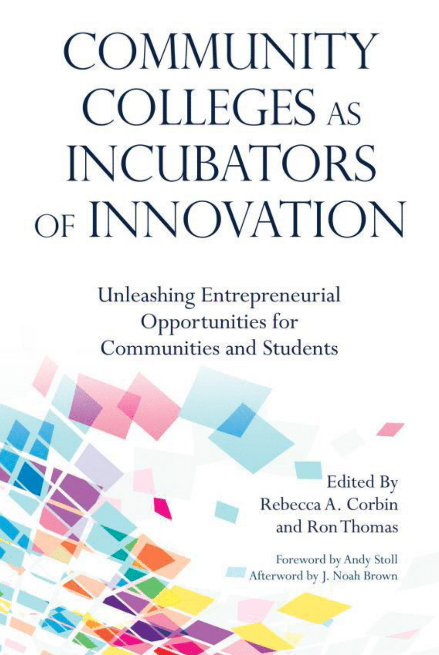 "Community Colleges as Incubators of Innovation - Unleashing Entrepreneurial Opportunities for Communities and Students"
This book, newly published by NACCE, addresses the urgent need for community colleges to prioritize entrepreneurship education, both to remain relevant in a changing economy, and to graduate students with the flexible and interdisciplinary mindsets needed for the future of society. It argues that entrepreneurial education should be offered broadly to a wide range of students and across all disciplines; defines the key constructs for achieving this objective; and describes how to create entrepreneurial learning environments. Receive 20% off your order by using the code CCIN20 at checkout. Offer expires 12/31/19, 2019. If you are ordering 5 or more books, please contact StylusMail@StylusPub.com for a group discount.